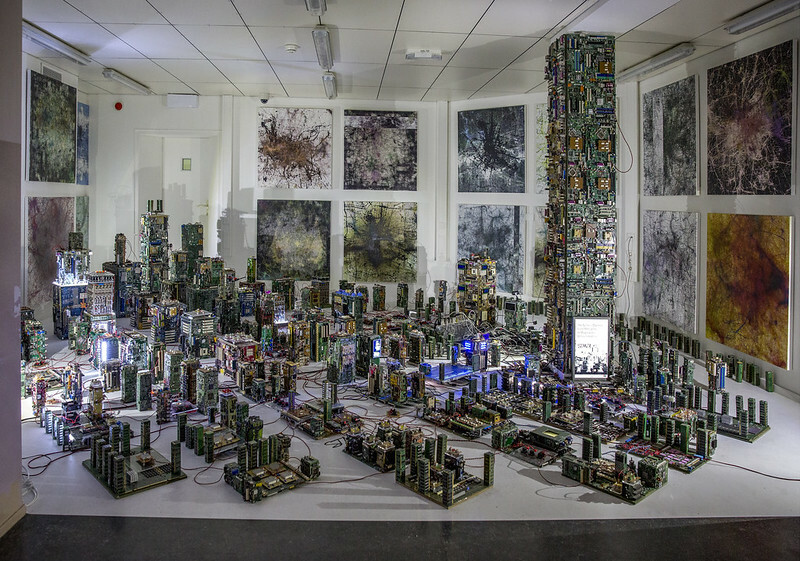 An installation with input of several data from the London Megalopolis that visualizes how several aspects of city life are monitored already. Think camera’s. think air pollution, think temperature and think traffic and transport moves. See Hacking Habitat, a must see event in a former prison in Utrecht. Curated by Ine Gevers, Hacking Habitat witnesses “the rise of a ‘remote control society’ colonizing and infiltrating increasing realms of daily life for the sake of safety and risk- management. Monitoring cameras and smart gateways are installed everywhere, while we are classified and atomized by automatic face recognition. Software and algorithms define who deviates or contributes too little to our economy. If you have some time, check this video out. Liz knows a thing or two about networking. I’ve finalized the uploading to Flickr of the photos I took at WordCampNL. I will devote one or two posts to the camp later. For the moment I leave it with posting this slideshow. The reason I link to my own stream and not the entire pool is that it is chronologically organized from the checking in to the final one thanking Erno photo. All photos are also in the WordCamp Nederland Flickr group. I have been invited to have a look at the Cinedans premiere in Amsterdam tonight. Cinedans is an International Dance Filmfestival, dedicated solely to films that have a connection with Dance and held simultaneously in three Dutch cities: Amsterdam, Den Haag and Utrecht. The opening film is quite interesting. It is a film about the South African Dance for All project started 17 years ago to bring dance to Cape Town Townships. An amazing tale of white dancers from the Capetown Ballet Company who started this project long before Apartheid was abolished. 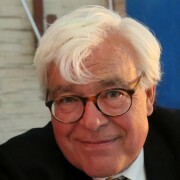 Philip Boyd, a former principal dancer with CAPAB (now Cape Town City Ballet), founded Dance for All in 1991 as Ballet for All. This was to build on the legacy of Cape Town ballet chief David Poole, who started teaching ballet in the townships of Cape Town in the mid-80s. 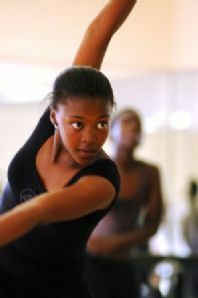 Ballet for All began its life in a classroom in Gugulethu with 34 children participating. These numbers quickly multiplied and with the recruitment of more dance teachers, Boyd expanded the programme to include a diverse range of dance forms and in 1995, Ballet for All became Dance for All. Today DFA runs an Outreach Programme of daily dance classes in ballet, African, contemporary, musical theatre and Spanish dance for over 700 children and youth in the historically disadvantaged communities of Gugulethu, Nyanga, Khayelitsha, Samora, Athlone and the rural areas of Barrydale and Montagu. Beyond teaching dance, these classes promote the personal development of the children by encouraging their creativity, self-discipline and confidence. DFA’s students receive first-class training from a talented and diverse teaching team. The film showed lessons by Philip and Phyllis Spira and their students and how the students gradually grew to professionally trained dancers culminating in the formation of DFA’s own profesional youth dance company, creating full-time employment for six of the previous year`s Senior Training Programme graduates in November 2005, that has toured several countries already. Unfortunately Phyllis Spira died a few months ago. We were happy to learn at the after party that one of their senior students who had left DFA to take dance lessons in Switserland and had been offered a second year of now sponsored training in Switserland had decided to return to DFA to take over Phyliss’ position as a teacher. Phyllis was accepted into London’s Royal School of Ballet when she was just 16. Within months she was a soloist with the Royal Ballet Touring Company. She returned to South Africa in 1964, having turned down an invitation to dance with the legendary Rudolph Nureyev and, a year later, joined Capab (later the Cape Town City Ballet), where she remained for 28 years. After retiring from performance, Phyllis devoted her time and energy to Dance for All, which was founded by her husband Philip Boyd. Her understanding of young people, her sense of values and her wisdom made her contribution immeasurable. A pragmatist and a realist, she was often both a voice of reason and a pillar of strength. A remarkably humble and caring woman, Phyllis was a wonderful role model and inspiration to so many of the children whose lives she touched. Dance for All will strive in its daily work to live up to her extraordinary legacy. Phyllis received South Africa’s highest civilian award for excellence, the Order of Meritorius Service Gold (1991). She twice received the Nederburg Award for Ballet, while she also won the Lilian Solomon Award and the Bellarte Woman of the Year Award for the Cape (1979) and was named a member of the Order of Disa (2003) for her contribution to ballet and its development. Why I was invited? Not as Happy Hotelier. It was closer to home: as proud and happy father of DanceGirl who helps with organizing Cinedans.